HelpGood – Digital-First Marketing Agency for Nonprofits and Cause Marketers. Based in Brooklyn and Los Angeles. » Google Play Features Our New App! 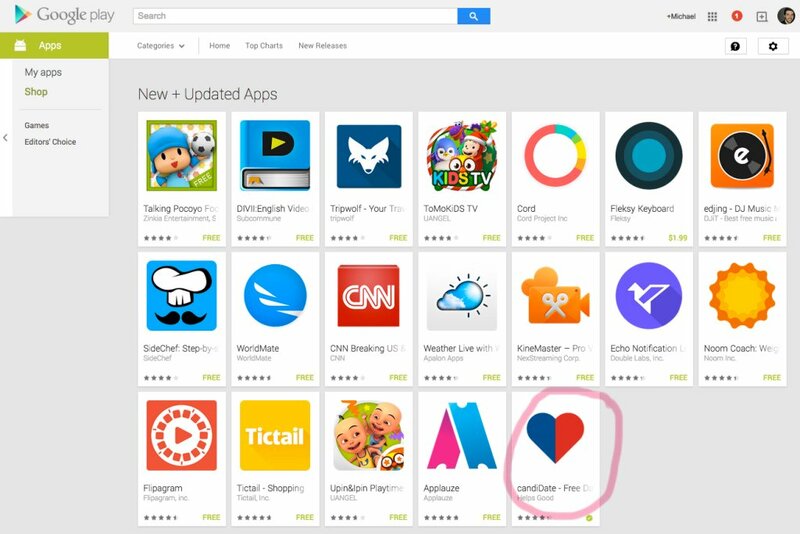 Our new candiDate dating app just got featured by Google Play in the New + Updated section. If your new year’s resolution includes, consider downloading the free Android app to help you connect with someone who could be your political soulmate. Read more about it on the candiDate site.